As the dust settled on a world record-breaking century in Dubai, there was more to the story and social media frenzy than just the innings and swashbuckling hitting from Surreys Will Jacks. The game between Surrey CCC and English counterparts Lancashire CCC, who were both touring the UAE, during pre-season preparation took place at the ICC Academy ground in Dubai Sports City. The inability to transport large cameras and equipment resulted in there being no significant video coverage for the tour, therefore PVM, a new streaming and match tagging system by PitchVision was used to capture the game, in a quick, portable and cost-effective fashion. PV/Match is changing the way cricket can be captured and showcased, allowing all levels of the game to promote their matches to a broader audience, via live streaming and an interactive scorecard, it is your cricket match production in a box. Having the PV/Match system allowed the heroics of Will Jacks to be captured and archived, an innings that could have been so nearly lost to the written records, instead the little known Jacks appearing on the mornings sporting headlines around the world and in turn providing an exciting new entry into his cricketing CV, raising eyebrows and putting the name Jacks onto many teams and franchise owners lips. “My innings against Lancashire was one of the most fun of my career so far. To score a hundred like that in any game is brilliant and it’s a good start to the season for me. 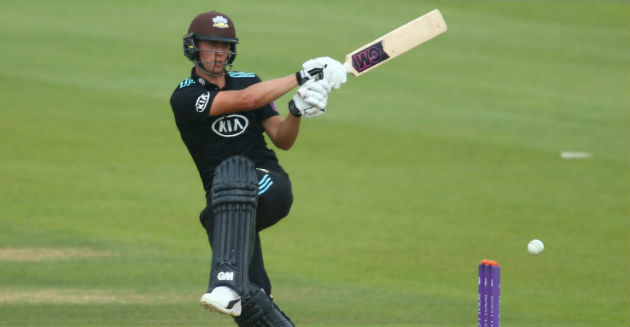 It all happened so quickly but it is great that people around the world and back home in England were able to watch it live and I can watch it all back, all thanks to the PV/Match system” Will Jacks – Surrey CCC. The century coming off 25 balls, included 11 sixes including 6 in one over and 8 fours, is the quickest by an English professional cricketer. The system is used by a wide variety of users from amateur clubs, to franchises and counties. It was also used for the champions trophy match, between the MCC captained by England’s Stuart Broad, and Surrey CCC featuring South Africa’s Morne Morkel. PV/Match is a popular choice in India and South Africa where the likes of Prithvi Shaw, Chris Morris, Dean Elgar, Wasim Jaffer and Sheyas Iyer have all benefited from PV/Match. The games stream live through YouTube and automatically tag highlights as you go. It takes only 10 mins to set up an ideal solution for fans, parents, coaches and players to track performance and showcase their talents.